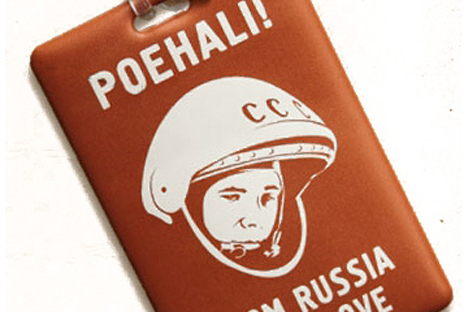 The publisher, Zlatoust, says the ‘Poekhali’ series competes well with more sober language books, most of which were produced in the Soviet era. What’s wrong with this passage? Is there a grammatical error or a moral dilemma? The author of “Poekhali!” (Let’s Go! ), a Russian-language textbook series that has sold more than 100,000 copies around the world, maintains that passages like the one above help foreigners learn a famously complicated language. Frants Klintsevich, deputy chairman of the State Duma’s Defense Committee, told Izvestia that the series, authored by St. Petersburg resident Stanislav Chernyshov, was tarnishing Russia’s image abroad. He has asked the prosecutor’s office to open an investigation. “It’s outrageous. It kills the soul and creates a moronic impression of Russia. It makes foreigners think we’re all bandits, morons and drug addicts,” Klintsevich told St. Petersburg’s Channel Five. The author of the series, which features beginner and intermediate editions and clearly states on the front covers that it’s “for adults,” counters that the lawmaker’s anger stems from a misinterpretation. Chernyshov, who runs the Extra-Class Language Center in St. Petersburg with his wife, Alla, who co-authored the two beginner editions, is surprised that the series, whose first edition was published a decade ago, is now coming under fire. The publisher, Zlatoust, said the series competes well with more sober language books, most of which were produced in the Soviet era. Foreign students asked by The Moscow Times defended the series, saying they liked its ability to spark debate. Not all foreign readers were as taken with the series, however. “I can understand why Russian parliament members would be upset. I personally prefer a more neutral textbook,” Alexandra Smith, a teacher at the University of Edinburgh, told The Moscow Times. Klintsevich’s complaint is the latest in a series of conservative interventions by United Russia deputies on cultural issues in St. Petersburg — one being the introduction of stringent anti-gay legislation in March. Chernyshov believes that his case shows that the state is trying to widen its control over new areas of society. Chernyshov paints the controversy as a struggle between a vision of education inherited from the Soviet Union and that of a democratic Russia. What has attracted the deputy’s anger precisely now is unclear. He is known for a charismatic style and a penchant for big public gestures. Besides his campaign to buy Hitler’s house, he has submitted a flurry of proposals in the Duma, including a suggestion that capital punishment be reintroduced for treason. According to Klintsevich, treasonous acts warranting execution could be widened to include major wastes of state resources, such as the botched Proton-M satellite launch in August. Repeated attempts to contact Klintsevich by phone and e-mail were unanswered. A reporter spoke with the deputy’s secretary on several days in November and December but was told he was unavailable.